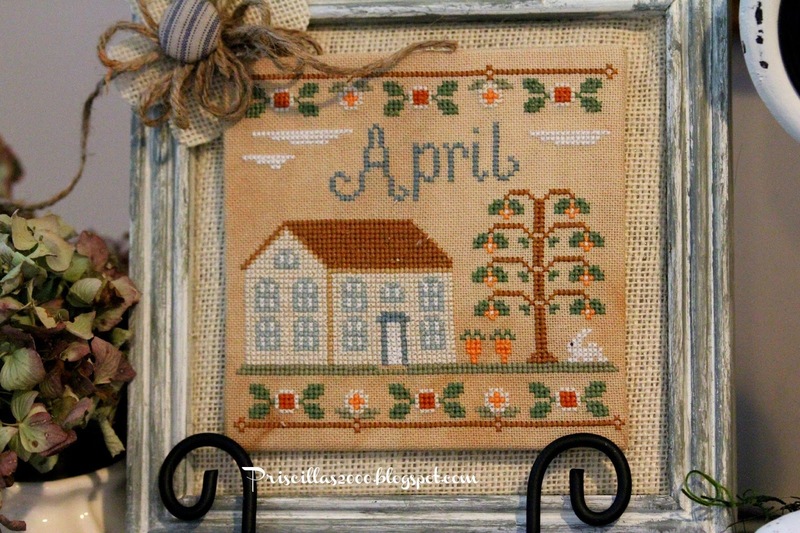 Last night I finished stitching the Country Cottage Needleworks April cottage.. I switched up the colors , because I am not a big fan of purple..I also left off the birds.. 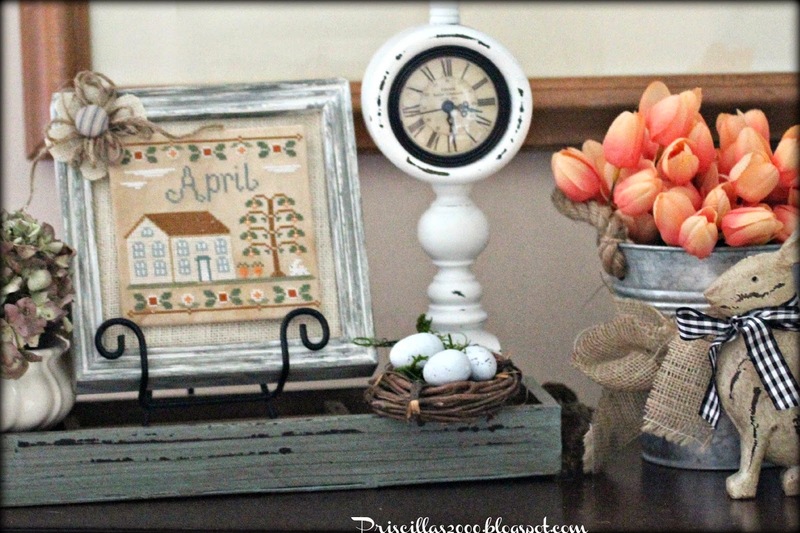 This one is also mounted with a magnet and a piece of sheet metal on the back so I can change it out every month..The frame is a thrift store mirror that I added burlap to and painted.. 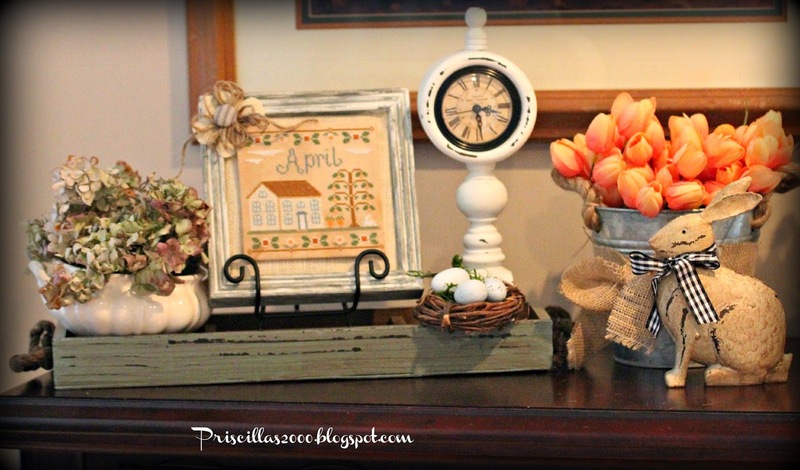 I have both of the monthly stitched pieces on the console table in my family room.. Love the way they all look together with a few spring decorative pieces ! You can see February's and March that I have finished ! Time to get stitching on May designs ! Its beautiful! I'm jealous :) In a really good way! 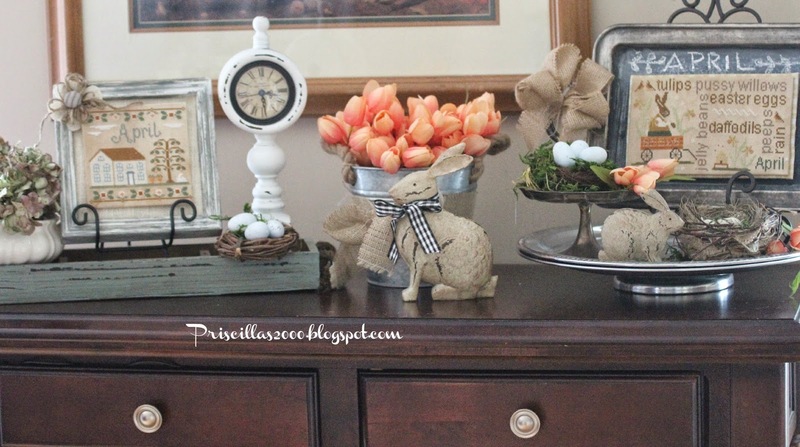 Priscilla, I'm getting ready to host my daughter's First Communion party in a couple of weeks. I'd love to make little lamb cutout cookies, can you tell me your recipe for your cookies and your icing? I'd appreciate it a whole lot! I love all of your needlework! Pretty display!!! Just read your previous post too. I bet you are just itching to get out in that yard and plant!!! The Spring cottage looks wonderful with the Word Play. They make a great display! 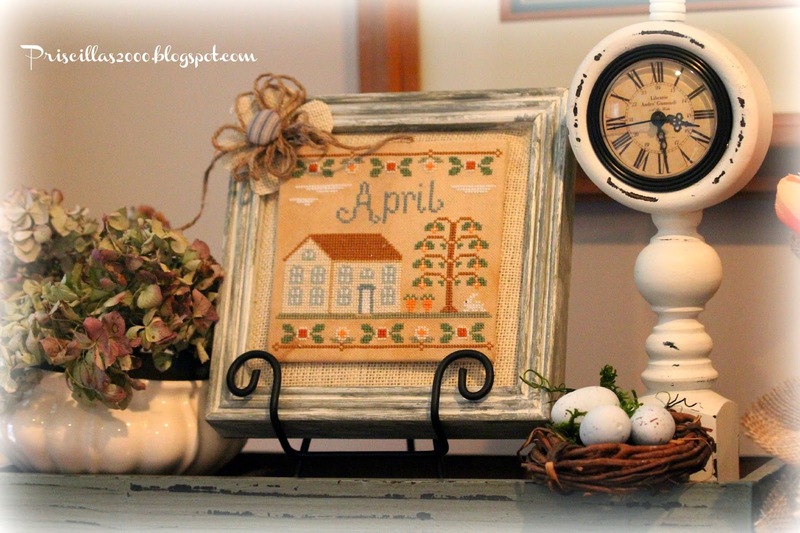 Great stitching, as always, and a great display, love it! !